By: Brew Your Bucha Posted: September 24, 2018 in Kombucha, Health, Wellness. While the health benefits of kombucha are regularly advertised, many would be hard pressed to actually explain the health benefits of the drink. 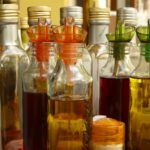 In the past, we’ve written articles that deal with some aspect of kombucha and health, such as the Kombucha Skin Care article, but that only focused on the skin. So, what are the actual specific health benefits of drinking kombucha? Well, the answer lies within kombucha probiotics as the drink carries a host of healthy bacteria and yeast that can help in maintaining good health. Stick around and we’ll tell you all about kombucha probiotics and its health benefits. You may have heard probiotics in a commercial about yogurt, and it is also something found in kombucha. To first understand the benefit of probiotics, it is important to understand how the body works. While there are plenty of bad bacteria that cause disease and illness, there is also a host of good bacteria that we need to live. Our digestive system is a mixture of different types of bacteria that work in harmony to ensure proper digestion and overall good health. However, when there is an imbalance in the gut, it can lead to problems like indigestion and diarrhea. Yet, “Probiotics can act as gut-beneficial bacteria that create a physical barrier against unfriendly bacteria,” according to Harvard Health. Whenever you brew a batch of kombucha, a SCOBY is placed in a jar of starter tea and sugar is added to begin the fermentation process. 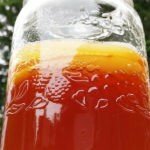 The SCOBY is the source of the probiotics, the tiny little bacteria and yeast that eat the sugar in the starter tea to ferment the liquid into kombucha. After the kombucha is brewed, the probiotics are present in the drink and the probiotics themselves are the main health benefit to kombucha. Thus, kombucha probiotics is the primary reason why the drink is considered good for you. According to WebMD, “Probiotics are often called “good” or “helpful” bacteria because they help keep your gut healthy.” One health benefit of probiotics is that they “help send food through your gut by affecting nerves that control gut movement” (WebMD). It’s clear that probiotics are very beneficial in aiding in proper digestion, which in turn helps maintain overall good health. Moreover, probiotics can be especially helpful for those who take antibiotics: “Probiotics can also help offset the bacterial imbalance caused by taking antibiotics. Antibiotics kill good bacteria along with the harmful ones, often leading to gas, cramping or diarrhea” (Harvard Health). Consequently, people on medication should consume some probiotics, such as kombucha probiotics, in order to reestablish the balance in the digestive system. This can help combat some of the negative side effects of taking antibodies. Also, there is some research that suggests that probiotics can help combat more serious illnesses: “Potential benefits of probiotics have been seen in the treatment or prevention of many conditions such as diarrhea, irritable bowel syndrome, ulcerative colitis, and Crohn’s disease” (Harvard Health). While there needs to be more research done to definitively confirm this benefit, it’s obvious that probiotics and good digestion go together. Consequently, drinking kombucha on a regular basis seems to benefit one’s health. 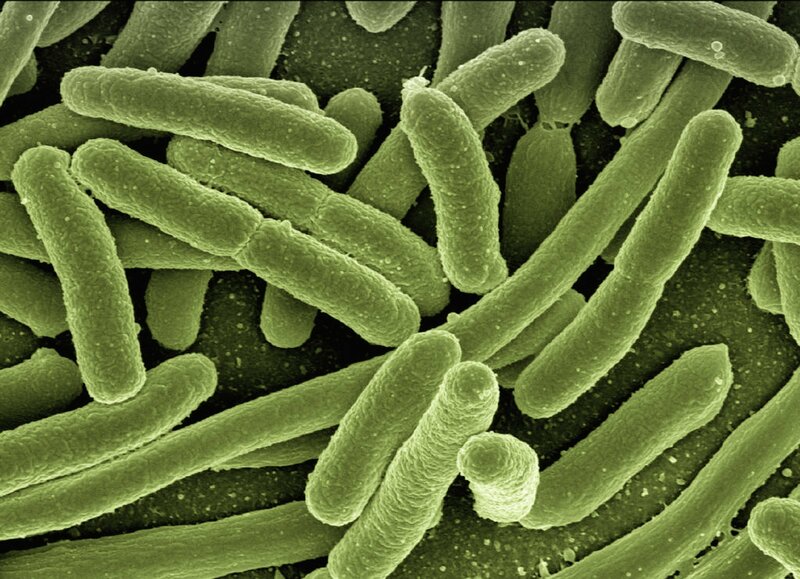 All Are Probiotics Created Equal? It’s important to remember that probiotics is an umbrella term that covers many different strains of bacteria. When it comes to kombucha, the three most common probiotics present are “Saccharomyces boulardii, Bacillus coagulans and Lactobacillus plantarum,” according to the American Society for Microbiology. These strains of kombucha probiotics are important as “these microbes ferment the sugars in the beverage and produce end products that add to the flavor and carbonation. For example, lactic acid production by L. plantarum or B. coagulans adds tartness, and carbon dioxide released by S. boulardii makes drinks effervescent” (ASM). So, on top of being good for the body, these microbes are the reason kombucha has its distinct taste and fizz. In fact, Lactobacillus is the most common probiotic strain found in foods such as yogurt. It is said that this strain of probiotics is especially helpful in fighting against indigestion and diarrhea (WebMd). While it’s clear that kombucha probiotics are good for the body, it is always important to remember to enjoy kombucha in moderation. Even the healthiest thing can become unhealthy if overused. Still, drinking kombucha in moderation is a great way to gain the probiotics you need, especiallly if you’re not a fan of yogurt. So, if you want some enjoy some kombucha probiotics, head to your nearest supermarket and pick up a bottle. Or, if you want to be a bit more adventurous, you can brew your own kombucha. Our shop page has everything you need to get started.